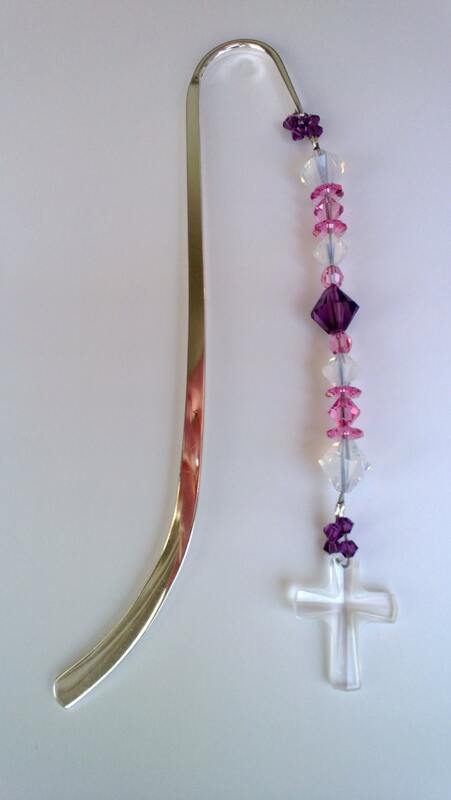 For the faithful reader...a beautiful combination of pink and purple Swarovski Crystal elements make up this special bookmark...with a powerful frost outlined cross at the bottom. Share some faith and the love of reading! Entire bookmark measures 5 inches in length. The largest Swarovski Bicone used is a gorgeous 8mm in size. 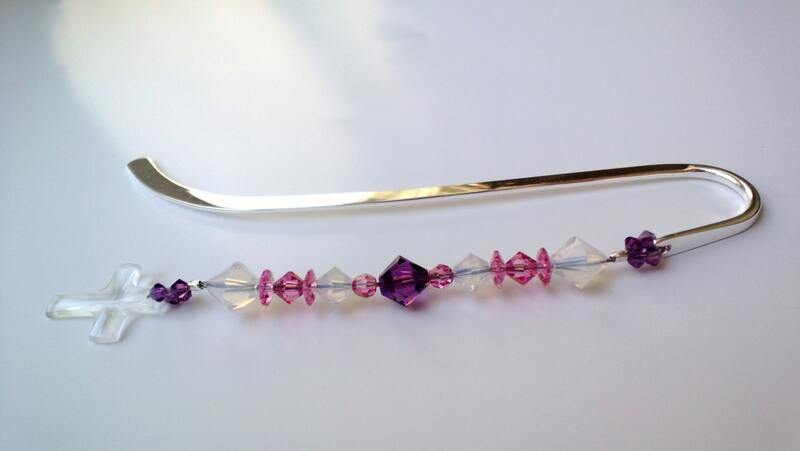 This bookmark would also make a wonderful Communion, or religion teacher gift! This was a nice additional gift I included in a book I gave to a friend's daughter for her first communion. Simple but elegant piece that is also useful. I love, love, love this bookmark! It was the perfect gift for my niece's First Communion because she loves to read and there is a little cross on the end of the very pretty crystals to always remind her of that special day. Michele was also great to work with and always replied to my emails quickly. I loved the bookmark so much I ordered four more! Instead of a cross, she put a little book on the end of the crystals and I am giving them to friends in my book club. I would definitely buy from Michele again! It was not what I was hoping for. I was going for something elegant and the beads are bigger than I thought they would be losing the elegance I was looking for. Beautiful piece and very excited to give as a gift. Received on the date specified and couldn't be more happy. Thank you!! !